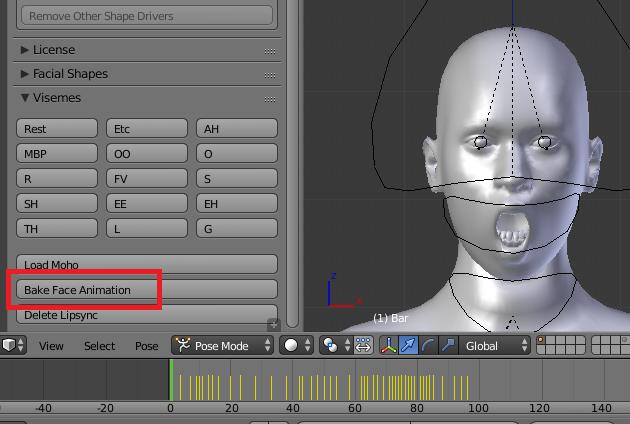 The preferred way to create facial animations is to add face shape drivers to the armature. 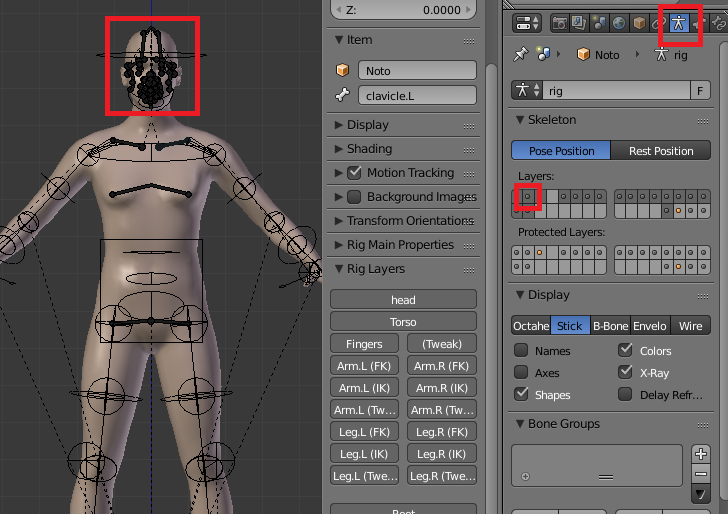 In this way you can access the face shapes also when the character is linked into another blend file. However, it appears that drivers don’t work with the BGE, and they will definitely not work if you export the animation outside of Blender. 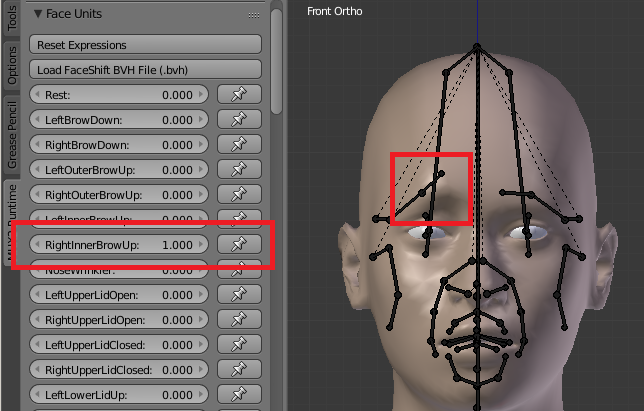 On import, select Face Shapes but unselect Face Shape Drivers. 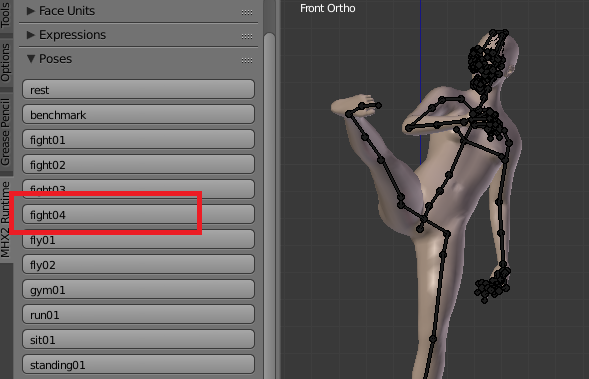 The buttons in the Visemes panel now affect the shapekeys directly, rather than rig properties. So you can use the visemes buttons to create a shapekey animation directly. 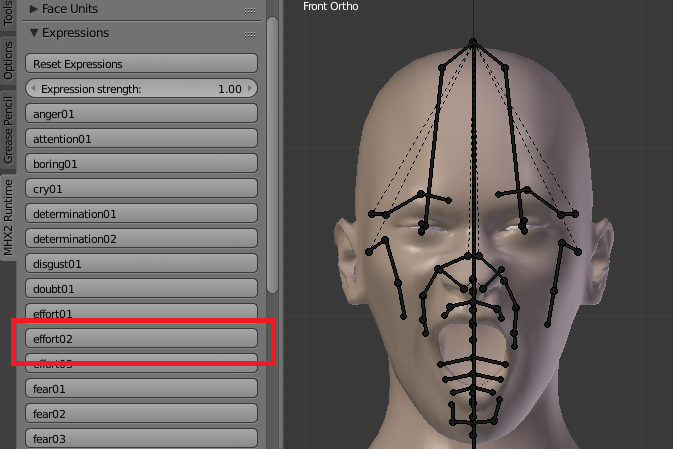 Select both Face Shapes and Face Shape Drivers, and create a face animation in the old way. Before using the animation in the BGE (or exporting it to some other app), press Bake Face Animations in the Visemes panel. 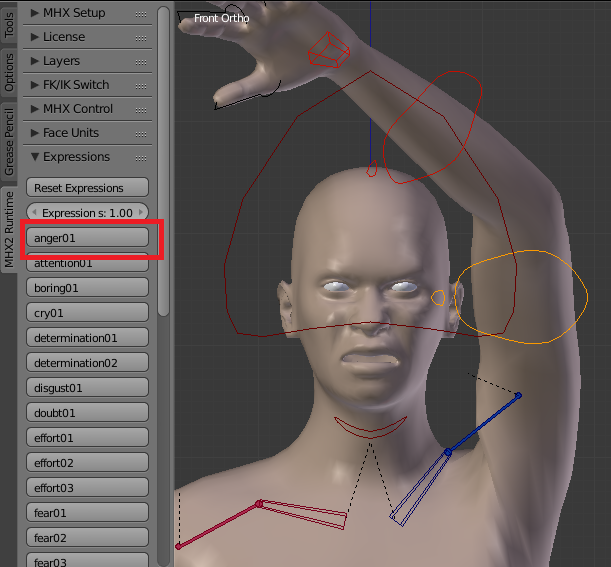 This button transfers all face animations to the mesh shapekeys and removes the drivers and the rig properties. To access this feature, download the unstable version from https://bitbucket.org/Diffeomorphic/mhx2-makehuman-exchange/downloads. As I hinted in my previous post, I have now crossed over to the dark side and written an importer for native DAZ Studio files. Or whatever. 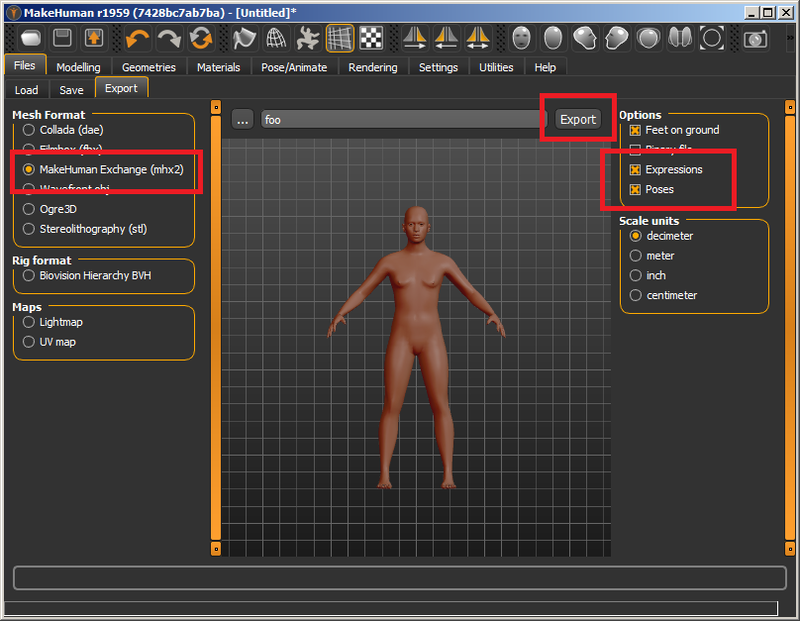 Anyway, DAZ Studio is a powerful program and many skilled modellers, both professional and amateurs, pour out assets frequently, so it is a pity that it has been so difficult to transfer them to Blender. For more information about the importer, see my new blog: http://diffeomorphic.blogspot.se/2016/08/daz-importer.html. Since some time MakeHuman has expressions and pose libraries. They can now be exported to Blender with MHX2. You need to use the development versions of both MakeHuman and MHX2 for this. 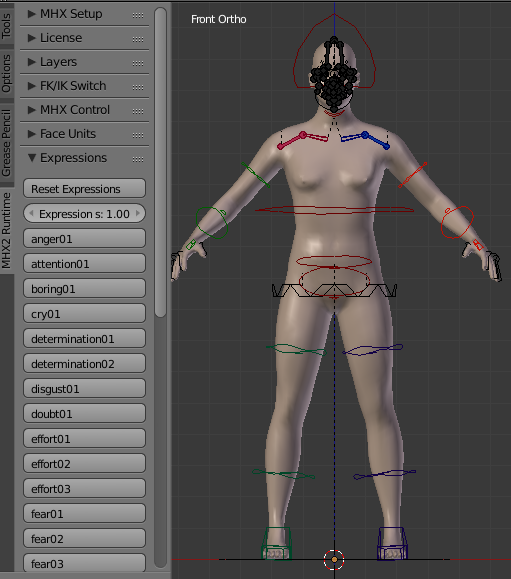 To include expressions and poses, we must first make sure to equip the character with a rig that can handle them. 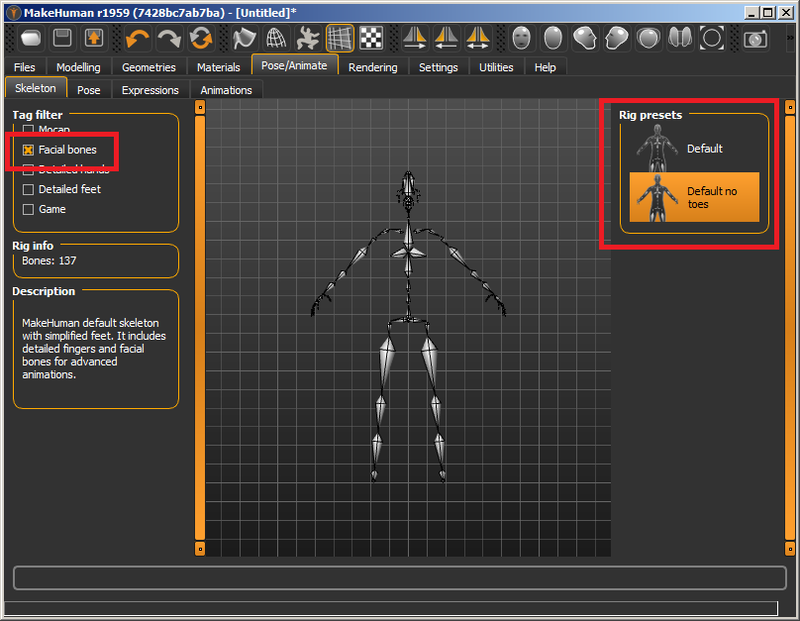 Select one of the rigs with facial bones, i.e. Default or Default no toes. I generally prefer the latter, because I have never had any need for detailed toe poses, and it works better with control rigs. 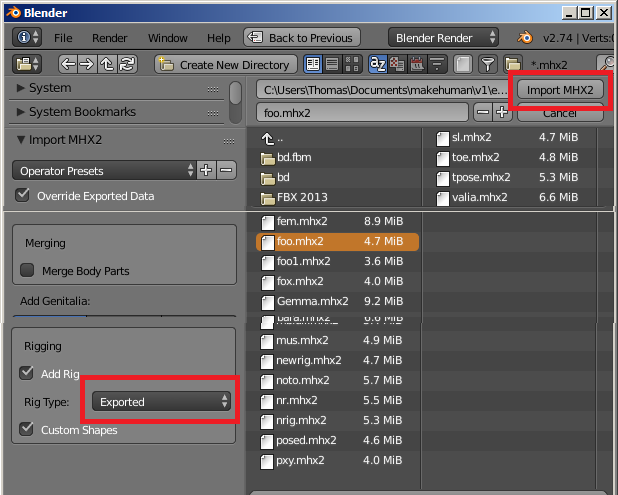 Then go to the MHX2 exporter, select Expressions and Poses in the Options box, and press Export. Next import the mhx2 file into Blender. There is no special option to control import of expressions and poses. If they are included in the mhx2 file, and we select a rig which has the required bones, they are automatically loaded. 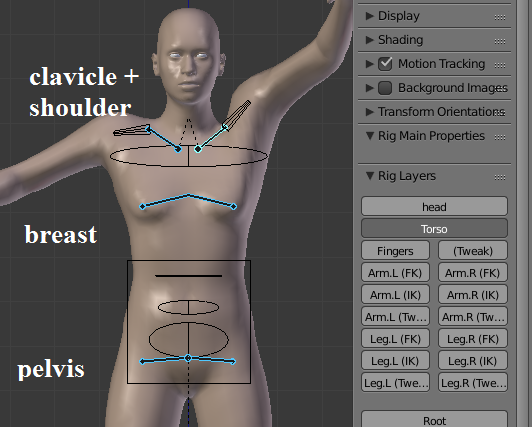 This means that the exported rig must also be imported, either by unchecking the Override Exported Data option, or by selecting the Exported rig in the Rigging group. 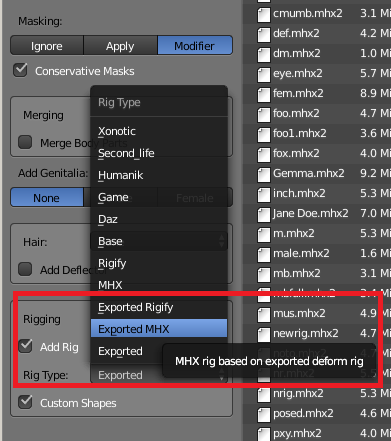 Expressions will also work with the new Exported-MHX and Exported-Rigify rigs, but poses will not because the bone names differ. Several new panels now become visible in the MHX2 Runtime tab. Face Units contains sliders that drive the facials bones. The Expressions panel contains buttons for more complex expressions. Note that this panel consists of buttons rather than sliders – the expression buttons set the sliders in the Face Units panel. However, you can reduce the effect of an expression with the Expression Strength slider at the top of this panel. This is useful for expressions like a little bit angry. Reducing the expression strength may also be necessary to avoid breaking the face of extreme characters like the baby. In the Poses panel we find buttons with the same poses as in MakeHuman. However, the poses probably don’t look quite as good in Blender as in MakeHuman, because the corrective shapekeys are not exported. Expressions and poses can be mixed, so the character can have an angry face while the body is fighting. Apparently I didn’t test this release as thoroughly as I should have, because it contained two serious bugs: clothes did not scale correctly when exported with units other than decimeters, and exported did not work at all with MH 1.0.2. Both bugs have now been fixed, both on bitbucket and in stable 0.26. The download link remains the same: https://www.dropbox.com/s/jrscejsv9uk8ch5/mhx2_stable_026.zip. A new stable version 0.26 of MHX2 is available. It can be downloaded from here. Compared to the previous version 0.25 a number of minor bugs have been corrected. The new version has been tested with Blender 2.74 and MakeHuman unstable. For the past half year, I have worked very little on this project, so the unstable version of MHX2 has de facto just been a bug-fixed version of the stable build. This may change in the future, because I am really not very happy with the deformation properties and plan to redo the rigging at some point. As a result, the unstable version may become more experimental and buggy.